Russell Bean | Broker-Dealer Attorney | Securities Litigation Denver | Clanahan, Beck, & Bean P.C. Russ' practice emphasizes broker-dealer law and regulation, securities arbitration, and public and private offerings, as well as general corporate law. 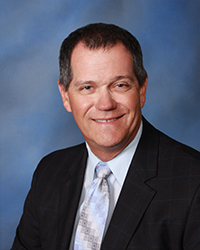 Russ also has assumed Denis Clanahan's trust and estate practice. Was General Counsel and then President of a regional securities broker-dealer, responsible for representation of the Company at arbitrations and involved in daily decisions regarding the broker-dealer. Expert testimony in securities arbitrations. Representation of broker-dealers in numerous public and private offerings. Representation of investors and securities professionals in litigation. Russ is married to Sherrie and is the father of Kerri, Cameron, and Kyle. Practice Areas: Securities Law and Litigation, General Corporate Law. Education: University of Wyoming, (B.S., Accounting 1983, J.D. 1986). Publication and Lectures: Author, Corporate Director Liability, 65(1) Denver University Law Review 59 (1988). Author, Standards for Tracing Marital Property Back to Non-Marital Property, 17(5) Colorado Lawyer 853 (May 1988). Land & Water Law Review, Managing Editor (1985-86).